The main difference between hourly and salaries employees is how they are paid. Hourly workers are paid an hourly rate for each hour they work and are entitled to overtime pay if they work over 40 hours per week. Salary employees are typically not given overtime pay, but the benefits are often more substantial versus hourly workers. Hourly employees are compensated by a set hourly rate which is multiplied by the hours worked during any given pay period. For example, if a worker has an hourly rate of $10.50 and works 40 hours in a given week, then their wages for that period would be 40 X $10.50 or $420. All hourly workers are considered non-exempt employees under the Fair Labor Standards guidelines. Non-exempt employees are not exempt from being paid overtime. They must be paid time and one-half for all hours worked over 40 in a given week. For example, if the same employee worked 50 hours in a week, then her compensation would be 40 X $10.50 for her regular 40 hours plus 10 X $15.75 for the 10 overtime hours. Hourly employees are also often not guaranteed a set number of hours of work per week unless they are covered by a labor contract. An hourly employee’s hours per week vary based on his or her weekly schedule. Sometimes, employees have a shift schedule that changes every week, so their hours might vary week to week. These employees must be paid, at the least, minimum wage. This wage varies from state to state. Employers must pay their hourly employees either the state or federal minimum wage, whichever is higher. Salaried employees have a set minimum annual level of compensation. That annual amount is divided by the number of pay periods to arrive at their weekly, bi-weekly or monthly paycheck. Most salaried employees are exempt employees. This means they are exempt from the overtime rules outlined by the Fair Labor Standards Act. For this reason, employers do not generally keep track of the number of hours worked by salaried employees or compensate them for extra hours worked. Some employers do offer overtime pay for their salaried employees. Or, instead of overtime pay, employers might offer their salaried employees compensatory time off or some other form of benefits instead of overtime pay. However, if a salaried employee is classified as a non-exempt worker under Fair Labor Standards, then the employer must still pay that worker time and one-half for any hours worked over 40 hours in a given week. Salaried employees classified as non-exempt include, for example, employees earning less than $455 per week, or $23,660 per year. One exception to this rule is researchers working under government or education grants. Some states have enacted overtime rules that have expanded overtime eligibility, so check with your state Department of Labor for eligibility in your location. If you do work in a state with overtime pay regulations, overtime is paid according to the standard that will provide the higher amount of pay. Whether you are an hourly or a salaried employee, you can use a paycheck calculator to figure out how much money you will receive in each paycheck. Paycheck calculators take into account the amount of your earnings that go towards taxes, as well as FICA. FICA stands for the Federal Insurance Coverage Act. 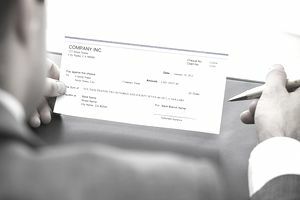 Each of your paychecks will have a deduction for FICA, which goes towards covering Social Security and Medicare programs. A paycheck calculator is a useful way to get a realistic sense of how much money you will be taking home. It is also helpful for making sure your employer is deducting the right amount of money from your paycheck. There are benefits to both salaried and hourly jobs. Salaried jobs often offer more benefits, including health insurance, parental leave, and a 401(k) plan. Some salaried jobs come with more responsibility and influence than hourly jobs, which can be good if you are trying to move up a career ladder. Also, some people enjoy the stability of knowing they will receive the same amount in their paycheck every month. However, there are also drawbacks to salaried employment. For example, since you are not paid overtime, any extra work you do does not come with extra pay. The benefits of hourly jobs are that you can sometimes earn even more than you would in a salaried job, especially if you work a lot of overtime. You also know that you will be compensated for every single hour you work, unlike a salaried job. However, hourly jobs do not always have the same benefits as salaried jobs. Also, if you are working a shift schedule, you might get more hours some weeks than others, which will affect the amount you earn each week. Consider these pros and cons when you are deciding whether you’d prefer a salaried or hourly job. For example, consider how important things like health insurance and other benefits are to you.